Coherex® dust retardant provides a clean and economical dust control. By coating the dust particles, Coherex® creates cohesive membranes that attach themselves to adjacent particles resulting in “agglomerates” too heavy to be dislodged by wind. Coherex® is well suited in applications where a controlled or regular application can be performed. Used as a soil stabilizer in the base construction of road beds or added to your compaction/dust control water, Coherex® will create a solid, dense, waterproof road base. A longer lasting road starts with better built road base. Coherex® is a petroleum resin and water emulsion containing no volatiles or cutback solvents. It is composed of 60% semi-liquid natural petroleum resins and 40% wetting solution. The resulting solution carries the resinous particles into the layer of dust to be treated. The emulsion can be stored for long periods and can be freeze stabilized for winter storage. While prolonged storage of diluted Coherex® might result in stratification, simple agitation or stirring will prepare the mixture for use. 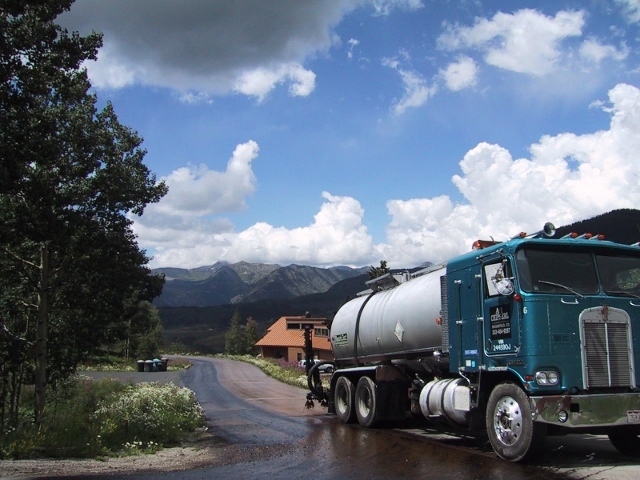 Coherex® is an emulsified petroleum resin and is diluted with water for application. Application rate depends on the area of use and soil makeup. Typical starting dilutions of Coherex® with water are between 1:4 to 1:7 (product : water). With a buildup of residual over regular use, continued long-term treatments potentially can be reduced to 1:10 to 1:15 dilutions. Application rate of diluted Coherex® is generally ½ to 1 gallon per square yard (2-4 liters) per square meter). The build-up of Coherex® residual also means that areas can be graded and the build up of resin will remain in the soil. The “agglomeration” effect gives depth to the dust retardant and not just a surface crust. Apply Coherex® by spraying the area with sufficient amount of the diluted dust-binder to penetrate the layer of dust to the depth required. When determining the ratio of Coherex® to water, the depth of penetration is controlled by the total amount of product applied (concentrate plus water) and that the thickness of the deposit of resins on the dust particles is controlled by the amount of Coherex® concentrate applied. The type of soil influences both the amount of product required to saturate it and the time required to reach the depth of penetration desired. Spreader trucks, hand sprayers, orchard sprayers, or other standard equipment can be used. © Copyright 2019, Tricor Refining, LLC - An Equal Opportunity Employer. California Transparency in Supply Chains Act.